We may only be halfway through Round 2 of the Top 16 but we already have three teams with a 2-0 record and three teams with a 0-2 record, so there is plenty to play for already. The teams who lost last week and are playing tonight (Friday the 9th of January) will know that they cannot afford to be detached from the teams at the top if they are keen to progress from the Top 16 stage. There were four games played out on Thursday the 8th of January and we will look at them here. The reigning Euroleague champions grabbed a 78-67 home win in the renamed Menora Mivtachim Arena to ignite their Top 16 hopes. After a loss last week, this was a big game for the home team and they can thank some of their star players for showing up and finding form. Brian Randle offered 16 points, 4 steals and 9 rebounds in the win while Sofoklis Schortsanitis provided 15 points. This result leaves Zvezda on 0-2 and they will now be starting to worry about where the wins are going to come from. Zvezda will need to look for Nikola Kalinic to maintain his form, the player offered 18 points in the game while Marcus Williams provided 13 points and 9 assists in the match. Boban Marjanovic also showed plenty of skill and determination for the away team so while they will not be too downbeat about the performance; they know that results need to be better if they are to maintain any hope of progressing in this tournament. The Spanish giants moved on to a 2-0 record in Group E while this result sees the Turkish side drop to a 1-1 record. Felipe Reyes was the star man for Real, grabbing a double-double of 22 points and 11 rebounds. Reyes was ably assisted by Rudy Fernandez who grabbed 15 points, Sergio Rodriguez who offered 13 points and Sergio Llull who offered 12 points and 7 assists. Galatasaray were given hope by the 17 points provided by Zoran Erceg. The Russian side went 2-0 for Group F, and 12-0 for the Euroleague campaign, with this win in a game that was always exciting. It leaves Laboral with a 0-2 record and sitting second bottom in the group. Sonny Weems had an excellent game for the winners, grabbing 22 points and providing 8 rebounds while Milos Teodosic provided 18 points. 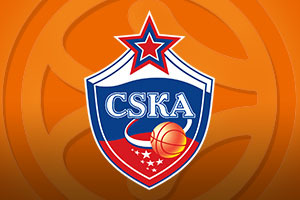 CSKA had a raft of star players on the court though as Nando De Colo provided 17 points and 8 assists while Andrey Vorontsevich provided 13 points alongside Sasha Kaun who offered 12 points. Laboral were boosted by Mike James offering 19 points, Kim Tillie offering 14 and Toko Shengelia provided 11 points. Laboral also got 10 points each from Fabien Causeur and Colton Iverson. There were records for both teams with CSKA setting a new landmark with 10 blocks while Laboral will be delighted with their 23 offensive rebounds. It was a rout in Greece as Olympiacos thumped the team from Milan to place the home team on 2- in Group F and the Italian side slumped to the bottom of the group with a 0-2 record. Oliver Lafayette and Brent Petway grabbed 13 points each for the winners while Matt Lojeski had a busy night with 12 points, 7 rebounds and 5 assists. There was also 12 points from Georgios Printezis while Kostas Sloukas provided 9 points and 6 assists. The only Milan player to break into double figures was Alessandro Gentile with 12 points but Samardo Samuels did offer 9 points and 6 rebounds in a defeat that Milan know they will have to improve on.